Dr. Maya Angelou transitioned from her physical form on May 28th, 2014. Her loss, immediately felt around the world, sent many of us to our knees, praying for her gentle transition into the arms of her ancestors. Soon after, we turned to our televisions, cell phones and social media. Scrolling through images, texts and the sound of her voice, we were ill prepared to say good bye. For several days I watched every YouTube clip I could find, searching for nuggets of wisdom I may have missed. I had taken Maya, Amiri, Chokwe and so many of our recently departed elders for granted, and was grateful for technology, at my fingertips. I replayed one short clip of Dr. Angelou several times. This minute-long clip moved me, because I love words. My friends and family often joke about me speaking mostly in choreopoem. I am firmly committed to the wisdom of Toni Cade Bambara that “the role of the artist is to make revolution irresistible,” and as an artist, I know that each time I share a piece of writing, speak, chant, pray, scream or sing I wield the power of my words. And in fact, the last piece I wrote for the ROOTS newsletter, “Alchemy: A Tale of Duality” began as an essay and worked its way into a poem. Words do not always make sense to me without some melody. Black people in this country, and around the world, feel our survival as something elusive. Whether by poverty, lack of health care or acts of intra-communal or state violence we feel the weight of words like: high risk, low income, disparate, deviant, thug, welfare queen, motherless, fatherless, loud, ghetto. These are the “things” that get into our walls, our upholstery, our clothes and are finally carried in our very bodies. We have asked ourselves at coffee shops and community discussions, what language or “things” are necessary to build another world? What could happen if we spoke from our dreams rather than from what we think we can accomplish? How bold do our visions become when we decide that no one gets thrown away? And how important are healing, reconciliation and love? There are times, when laughter breaks out during these conversations, when someone says, “Is that a word? That’s not a word!” And someone else responds with, “It is now. Who else should define the language of our liberation?” Over this past year we have had opportunities to raise these and other provocative questions with various communities in Durham. Side note: isolated and ostracized communities creating new language is not a new thing. We consider that to be a revolutionary, self-determining act. Unfortunately, this new language often becomes categorized or co-opted as slang or ghetto speak, further marginalizing people considered outside the norm. Our most recent work has been as organizational members of the Fostering Alternatives to Drug Enforcement (FADE) coalition. FADE is a grassroots movement, challenging racial profiling and racial disparities in Durham’s policing. The work of the coalition is centered and led by Durham community members, including ourselves, experiencing the greatest tensions with law enforcement. Using the principle of alchemy, we’ve nurtured singular dreams to a collective vision, all while maintaining our individual integrity. We soon began the work of moving this delicate seedling to fertile earth, remaining keenly aware of the fragility of our roots and our need to continually nurture and strengthen them with patience and love. 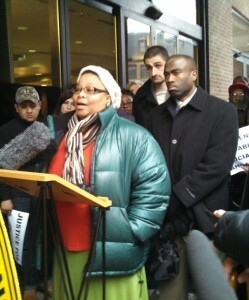 In late summer 2013, several members of the coalition who had been experiencing repeated intimidation and violence by police were feeling an urgent need to raise more public awareness about how the failed war on drugs was impacting our lives. We felt that it was important to hold our elected officials accountable to the communities we love, and to make it clear that we know what is best for ourselves and our families, and that we want to be included in creating safe spaces for all. The response from Mayor Bill Bell was to task Durham’s Human Relations Commission (HRC) with investigating the community’s concerns. After a six month community engaged process, the HRC, concluded that institutional racism is embedded in the Durham Police Department. The HRC presented the mayor, the city council and the city manager with FADE’s, as well as other community recommendations, that will address Durham’s racial profiling and race-based policing. These recommendations are just one step towards reconciliation between vulnerable communities and the Durham Police Department. 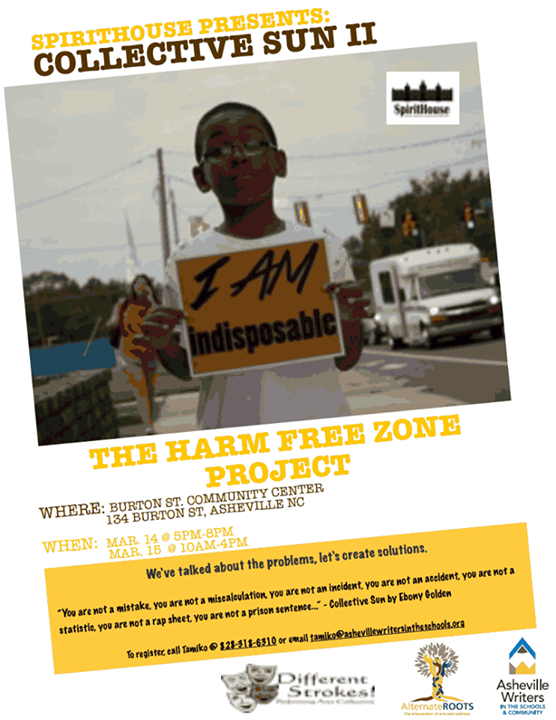 There are many other community-centered processes we must engage in to make Durham a Harm Free Zone. In the immediate future we will continue developing a shared analysis and shared language that helps to shape our vision forward. If words are things, powerful enough to get into us, we cannot be too careful or too intentional with the “things” we choose. 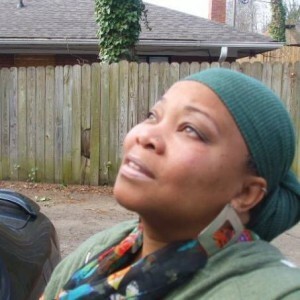 Nancy “Mama Nia” Wilson has been a part of the SpiritHouse family since 2002. Currently serving as the SpiritHouse Executive Director, Mama Nia originally hails from Norwalk CT, where she has acquired over twenty years of direct care client services, ranging from early childhood education to mentally handicapped adults. She is a practical nurse who has specialized in pediatric and psychiatric nursing, but found a much stronger calling working with teens and their families in drop- out, drug and pregnancy prevention. Mama Nia is a mother, poet, performer, and storyteller, whose works with fellow artists, organizers, encourages community members to assess, express, and address their own needs.